PASTA POWER! In this edition of Fire Flower Funnies, we'll explore the world of Super Mario Brothers culinary art. 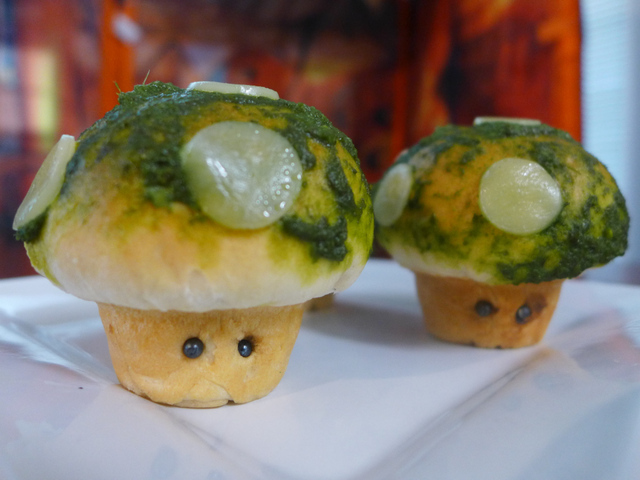 After a few recipes entered into my RSS feeds recently, I thought it would be fun to warp into a world of Mario meals and edible creations. And if you think we are talking just pasta here, you ain't seen nothing yet! Bite back with these delectable Piranha Plant Pops from the Cake Crumbs blog! Little shop of horrors on the outside, but with dark chocolate and raspberry on the inside. Every Happy Meal is better with an acrobatic little goomba or a pullback Luigi! I've got serious doubts though about Ronald's jumping abilities in those shoes. Don't remember the Reebok Pump coming in size 30 and in candy apple red. The Doors of Night blog definitely has the right idea of how to get your kids to eat their veggies. But I think I'll pass if they design a super cabbage leaf or an artichoke Tanooki suit. 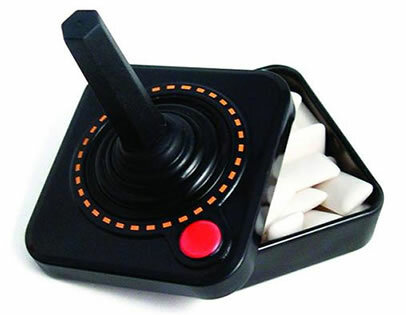 I keep seeing these near the check out at local toy store and Hobby Lobby. 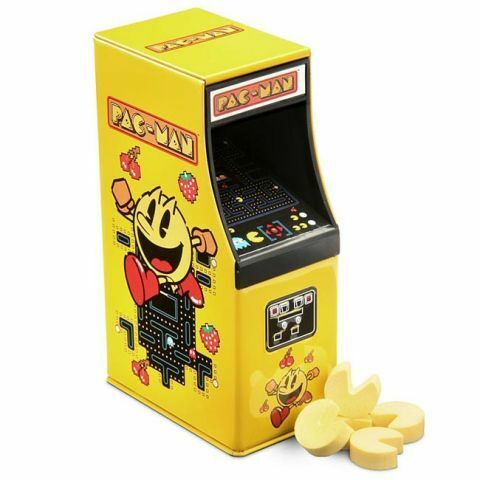 Judging by the taste of the Pac-man arcade machine candy and Atari joystick gum that I got for Easter, I'm not willing to spend $5 on what could taste like Toad turds. Now here's a wedding I'd be crashing. Check it out, they even added a cool way for Mario to reach the Princess' lips!